Car Tracking track anytime, anywhere around the globe without limitation or network breach using our triple network vehicle tracker system that uses GMS, GPRS, and GPS networks respectively. Reduces cost associated with fuel consumption, vehicle wear & tear and excessive idle time by drivers. Car Tracking Locate or pinpoint the exact location of where your vehicle is, using your mobile phone or our web based server via your Ipads, tablet and computers in real time. Manage driver’s attitude such as recklessness or tardiness so as to reduce road accidents on the road or high way. Track anytime, anywhere around the globe without limitation or network breach using our triple network vehicle tracker system that uses GMS, GPRS, and GPS networks respectively. Reduces cost associated with fuel consumption, vehicle wear & tear and excessive idle time by drivers. 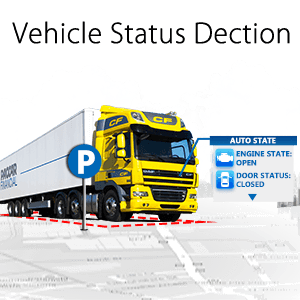 Locate or pinpoint the exact location of where your vehicle is, using your mobile phone or our web based server via your Ipads, tablet and computers in real time. Manage driver’s attitude such as recklessness or tardiness so as to reduce road accidents on the road or high way. No need to be scared any more when your vehicle is stolen because you can now locate and demobilize your lost or stolen vehicle via your mobile phone, Ipad, tablet and computer anywhere around the world. Get an alert each time your driver goes beyond the speed limit that has been programmed or when moved out of the designated area. You can now know where your car has been; dating back to last six months at your fingertips with time and date respectively.